In Interstellar Rift Players will man their own starship by themselves or with their friends to explore a procedurally generated galaxy filled with adventure, danger and riches beyond belief. With the powerful Interstellar Rift ship builder you can build your starship from the inside out to suit you and your crews needs. Explore space stations, derelict starships and spatial anomalies for loot and resources to upgrade your ship and your character. 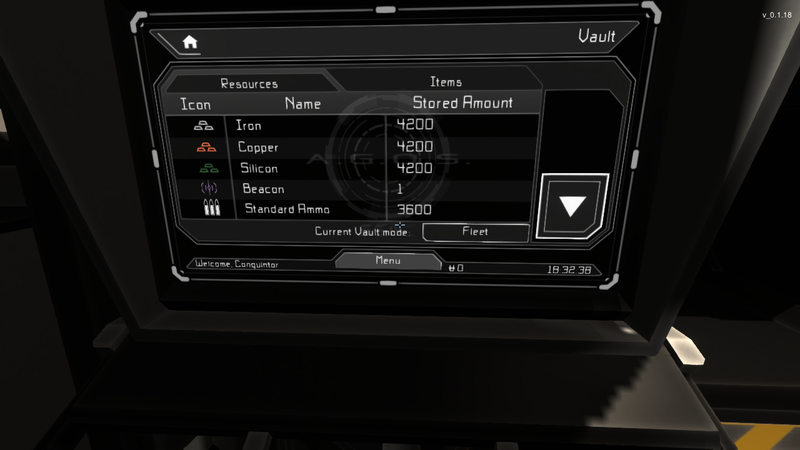 Time for another Interstellar Rift update, This time we’ve included a highly requested feature, shared vaults. For a long time you guys have been requesting more co-op features when it comes to the collection of resources. Well from now on you will be able to share a vault inventory with your fleet and crew mates. You’ll notice a new button on the vault screen called “personal” If you’re in a fleet or crew you will be able to click this button and switch to the fleet/crew vault. Storing resources or items in here will make them available to everyone in your crew/fleet that has vault permissions. Vault permissions can be given by any member of the fleet which has the appropriate permissions to do so. With this functionality we also updated the ship construction terminal, on the top screen in the upper right you can now find a button that allows switching between which vault you want to construct your ship from. But wait there’s more, as mentioned above we’ve also added in the ability to form crews. These small crew groups will allow you to form a short co-op group with other players. You will also have access to the crew vault so you can easily gather resources together to build a ship. In addition to the shared vaults we have also added in a new cyber warfare mechanic. 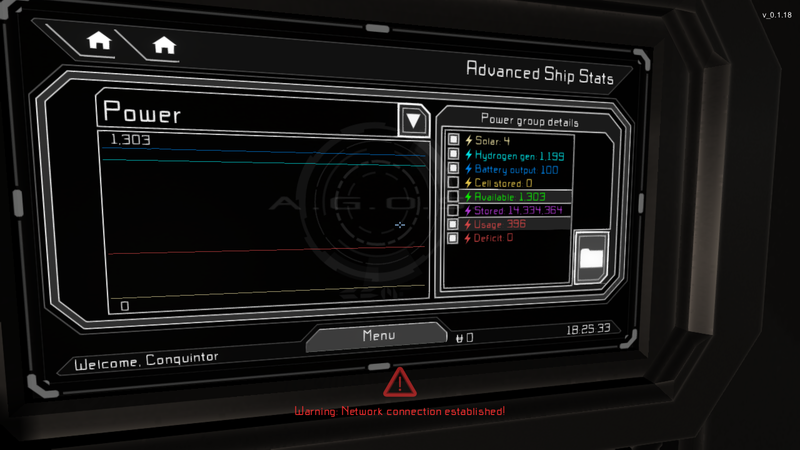 In the ship editor you’ll find the new cyber warfare suite. This device is the centre of both your ship’s defensive and offensive capabilities. Using specialised chipsets which you will be able to find and craft you can assault ships and stations by reducing their engine output. Unlocking their teleporters and more. However you will also be able to sacrifice offensive capabilities to bolster your own firewall. This will make it more difficult for attackers to gain access to your ship’s systems and reduce or disable their effectiveness. However using these hacking chipsets will slowly consume them, and once the cartridge break you will no longer be able to use it. We have also reworked a lot of the permission mechanics, you now need appropriate diplomatic standing with several factions to use their stations and facilities. This works within a station as well, where certain areas are no longer accessible unless you have a good reputation. Teleporters now by default only grant access to the owner of a ship. If you want to give other people access to your ship you can either give them permission individually or have them join your crew or fleet for easy access. Onboard systems still require special permission to use however. 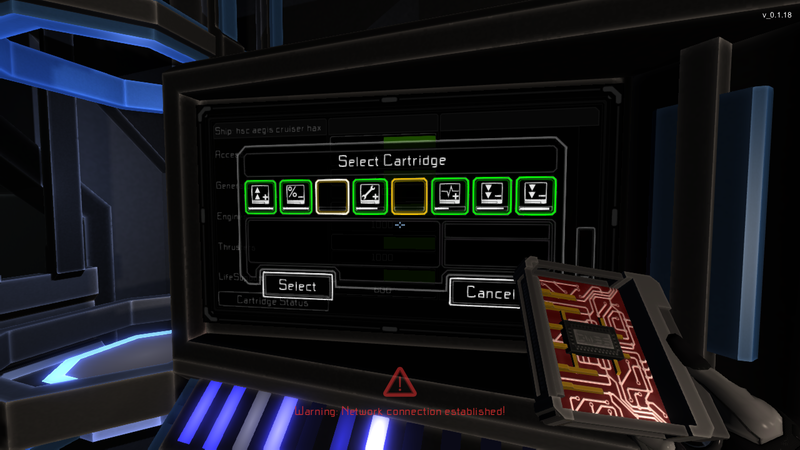 Additionally, we have reworked some of the GUI’s concerning power usage. You can now track the power usage of your ship in real time. Finally, we’ve also added a new weapon to our arsenal in the ongoing war on bugs. We now have the ability to log bugs and crashes automatically. This will allow us to track when there are crashes and it will hopefully make it easier for us to find their cause. This data is gathered anonymously but if you do not wish to be tracked you can turn this function off in the options menu. We hope you enjoy this new patch and as always, if you would like to know more or would like sneak previews of upcoming features and patches please follow us on Twitter, Facebook and our own and Steam forums. Weapons activation, Factions and reputation systems! 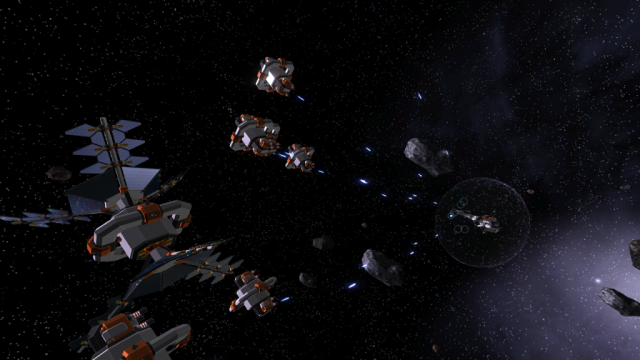 Click & drag, Ingame mail, fleet system basics and more in this weeks Interstellar Rift update! player item fabrication, rare resources, performance enhancements and more! Ship upgrade cartridges, and many quality of life improvements in the first Interstellar Rift patch of 2016! Hey I just made a First Look video of Interstellar Rift on my Youtube Channel if anyone is interested. We saw both your video's Nice work and thank you! we hope your audience enjoyed them. I'm trying to run it and when it updates I keep getting "Downloading Failed: The downloaded file "interstellarrift.all.to.0.0.27.wyu failed the Adler32 validation." What does this mean and how can I resolve this? Going live @ Twitch.tv Come join us! We are live with #InterstellarRift devstream Nr.2! Twitch.tv Come and hang out! we'll be doing a AMA the entire stream!